Even China admits that the present trade pattern is not good for Latin America in the long run. As Chinese President Xi Jinping noted at a summit meeting in 2014, “the development modality resulting from economic growth driven principally by … natural resource … [export] is not sustainable… [It is] a dead-end street.”12 China’s giant strides toward industrialization, and Latin America’s retreat in this regard, may carry another cost. Researchers Kevin Gallagher and Roberto Porzecanski have argued that with China now more economically developed, there may be less room for Latin America to push into global markets, should it return to industrialization.13 Falling behind again in the race for economic development may not be good for the long term health of the Latin American economies. There is a cost to bear in this raw material export opportunity. The emergence of a more capitalist-oriented China, one committed to free trade and growth, allowed many South American states to flourish economically in recent decades, albeit in a developmentally problematical and environmentally unsustainable manner. There was something of a major coincidence in this, for the boom in the China trade coincided with the rise of the left across much of Latin America. The resulting surge in commodity prices has been fortuitous for progressive governance, allowing the anti-capitalist left to enjoy economic good times. Previously, Latin American neoliberalism in the 1980s and 1990s championed increased globalization, including more trade with China. If would be fair to conclude that this rising commerce with China was at least in part the product of neoliberalism’s embrace of global trade. To be sure, rising copper prices helped the right of center, free market-oriented governments in Chile and Perú, but soy and iron ore profits poured into center-left Brazil, the soy trade buoyed the left-wing nations of Uruguay, Paraguay, and Argentina, and spiking oil prices benefitted the hard-left nations of Venezuela and Ecuador.22 Without the China-led commodity price rise, the left in Latin America would surely have suffered at the polls. Ironically, it has been Chinese free trade capitalism that has helped to raise the fortunes of the Latin American anti-capitalist left. But as the China trade ebbs and export revenues dry up, hard times may lie ahead for the commodity export-dependent governments of the Latin American left. 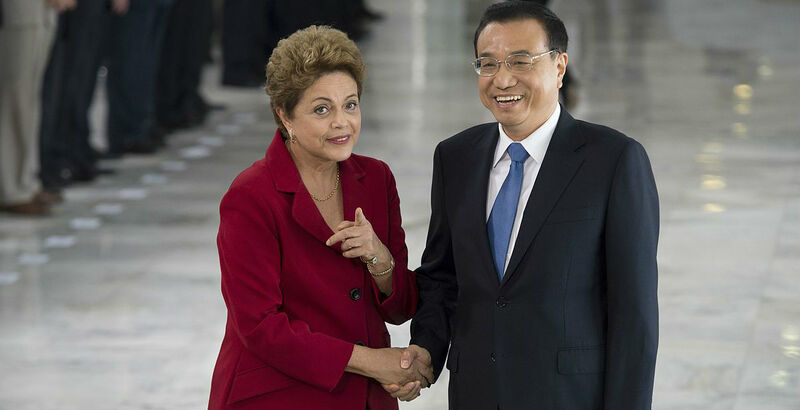 Featured Photo: Dilma Rousseff received a the Palácio do Planalto the Chinese Prime Minister Li Keqiang. From: Agência Brasil. Latin American and the Caribbean and China: Towards a New Era in Economic Cooperation. (Santiago, Chile, 2015), 25; Mark Weisbrot, “The World has Nothing to Fear from the US Losing Power,” The Guardian (London, U.K.), May 3, 2014. Adrian H. Hearn and José Luis León-Manríquez, “China and Latin America: A New Era of an Old Exchange,” chapter in, Hearn and León-Manríquez, editors, China Engages Latin America: Tracing the Trajectory (Boulder, 2011), 10; Liu Yongtao, “Promote China-Latin America Relations in the 21st Century,” Globalization, Competitiveness & Governability 6:1 (January-April 2012), 119. Rhys Jenkins, “Latin America and China—A New Dependency?” Third World Quarterly 33:7 (2012), 1338; Hearn and León-Manríquez, “China and Latin America,” in Hearn and León-Manríquez, China Engages Latin America, 10. Yongtao, “Promote China-Latin America Relations,” Globalization, Competitiveness & Governability, 119. David Shambaugh, “Forword,” chapter in, Hearn and León-Manríquez, China Engages Latin America, xv; Hearn and León-Manríquez, “China and Latin America,” in Hearn and León-Manríquez, China Engages Latin America, 10; ECLAC. Latin American and the Caribbean and China, 39, 44; Yongtao, “Promote China-Latin America Relations,” Globalization, Competitiveness & Governability, 123. Juan de Onis, “China’s Latin Connection: Eclipsing the US?” World Affairs (January/February 2014), 63-63; Shambaugh, “Forword,” in Hearn and León-Manríquez, China Engages Latin America, xiv; Yongtao, “Promote China-Latin America Relations,” Globalization, Competitiveness & Governability, 125; Jenkins, “Latin America and China,” Third World Quarterly, 1350, 1352-1353; Barbara Hogenboom, “Depoliticized and Repoliticized Minerals in Latin America,” Journal of Developing Societies 28:2 (April 2012), 142; Barbara Hogenboom, “Latin America and China’s Transnationalizing Oil Industry: A Political Economy Assessment of New Relations,” Perspectives on Global Development and Technology 13 (2014), 631; ECLAC. Latin American and the Caribbean and China, 14. ECLAC. Latin American and the Caribbean and China, 19; Jenkins, “Latin America and China,” Third World Quarterly, 1353. ECLAC. Latin American and the Caribbean and China, 38; Jenkins, “Latin America and China,” Third World Quarterly, 1345, 1348. Hogenboom, “Depoliticized and Repoliticized Minerals,” Journal of Developing Societies, 141; Jenkins, “Latin America and China,” Third World Quarterly, 1344; ECLAC. Latin American and the Caribbean and China, 41. Shambaugh, “Forword,” in Hearn and León-Manríquez, China Engages Latin America, xv; Yongtao, “Promote China-Latin America Relations,” Globalization, Competitiveness & Governability, 119. ECLAC. Latin American and the Caribbean and China, 44; Eric Farnsworth, “The New Mercantilism: China’s Emerging Role in the Americas,” Current History 110:733 (February 2011), 59. Chinese President Xi Jinping, quoted in, ECLAC. Latin American and the Caribbean and China, 23. Gallagher and Porzecanski discussed in, Hearn and León-Manríquez, “China and Latin America,” in Hearn and León-Manríquez, China Engages Latin America, 5. Yongtao, “Promote China-Latin America Relations,” Globalization, Competitiveness & Governability, 120; ECLAC. Latin American and the Caribbean and China, 6, 13, 23, 35. ECLAC. Latin American and the Caribbean and China, 9, 10, 14, 16; Farnsworth, “New Mercantilism,” Current History, 57. Hans Steinmüller, “China’s Growing Influence in Latin America,” Europa World (London, 2015); ECLAC. 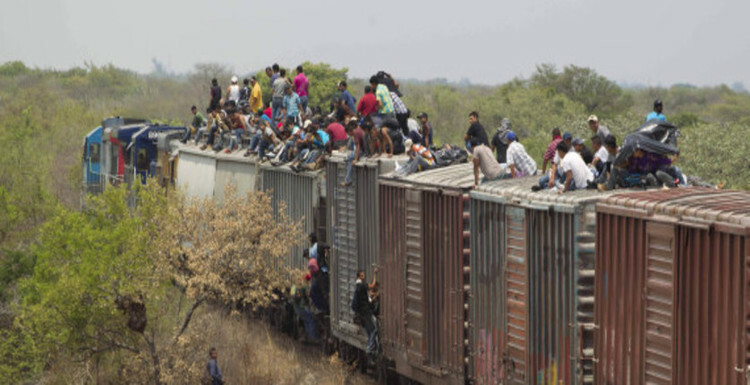 Latin American and the Caribbean and China, 59, 60; Kevin Gallagher, “Why Latin America Should Not Squander the China Boom,” BBC News, January 27, 2015; de Onis, “China’s Latin Connection,” World Affairs, 64; Hogenboom, “Depoliticized and Repoliticized Minerals,” Journal of Developing Societies, 143. ECLAC. Latin American and the Caribbean and China, 6, 39. Shambaugh, “Forword,” in Hearn and León-Manríquez, China Engages Latin America, xv. Quoted in, José Luis León-Manríquez and Adrian H. Hearn, “China, Latin America, and the Trajectory of Change,” in Hearn and León-Manríquez, China Engages Latin America, 283. Steinmüller, “China’s Growing Influence,” Europa World. Shambaugh, “Forword,” in Hearn and León-Manríquez, China Engages Latin America, x; Steinmüller, “China’s Growing Influence,” Europa World; Hearn and León-Manríquez, “China and Latin America,” in Hearn and León-Manríquez, China Engages Latin America, 18; Jenkins, “Latin America and China,” Third World Quarterly, 1347. Hearn and León-Manríquez, “China and Latin America,” in Hearn and León-Manríquez, China Engages Latin America, 10.